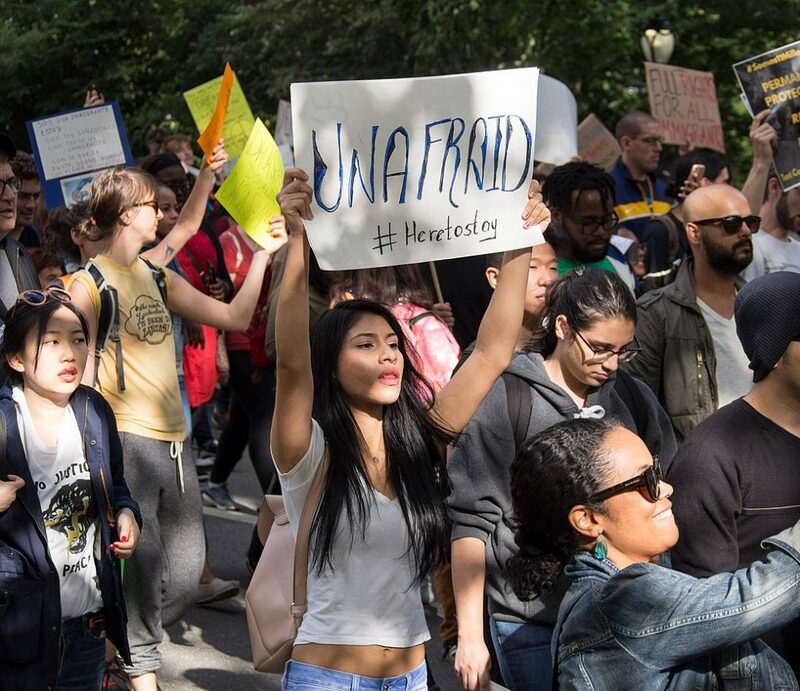 United States (Conversation) – Earlier this month, hopes were high that a bipartisan deal could be reached to resolve the fate of the “Dreamers,” the millions of undocumented youth who were brought to the U.S. as children. Those hopes all but vanished on Jan. 11 as President Donald Trump aligned himself with hard-line anti-immigration advocates within the GOP and struck down bipartisan attempts to reach a resolution. Now that optimism is re-emerging once more after Republican Senate leadership agreed, in exchange for ending the shutdown, to hold a vote on a solution to the young immigrants’ plight within weeks – if they haven’t reached a more comprehensive deal on immigration by then. But whether or not the president and Republicans can overcome the anti-immigrant elements in their party and reach a deal remains to be seen. One of the arguments advanced by those who oppose giving them citizenship is that doing so would hurt native-born workers and be a drain on the U.S. economy. My own research shows the exact opposite is true. All in all, about 3.6 million immigrants living in the U.S. entered the country as children. Without options for legal residency, their lives hang in the balance. To address this problem, the Obama administration created the Deferred Action for Childhood Arrivals program in 2012. DACA gave almost 800,000 of them temporary legal work permits and reprieve from deportation. Although his successor terminated the program in September, this month a federal court halted that process, allowing current recipients the ability to renew their status. Any cause for celebration, however, was short-lived as the Department of Justice immediately responded by asking the Supreme Court to overturn the ruling. The Supreme Court has not yet announced a decision. In the meantime, the future of DACA recipients remains uncertain. Today, the best hope for a permanent fix for the Dreamers rests on bipartisan efforts to enact the 2017 DREAM Act – for Development, Relief and Education for Alien Minors – which would extend pathways to citizenship to undocumented youth who entered the United States as children, graduated from high school and have no criminal record. A version of the act was first introduced in 2001 and will likely be up for discussion in coming weeks. The debate surrounding the DREAM Act is often framed around two seemingly irreconcilable views. On one side, immigration activists advocate for legalization based on pleas to our common humanity. These Dreamers, after all, were raised and educated in the United States. They are American in every sense but legally. On the other, critics contend that legalization will come at a cost to U.S.-born workers, and their well-being should be prioritized. My research with economists Ryan Edwards and Francesc Ortega estimated the economic impact of the 2017 DREAM Act if it were to become law. About 2.1 million of the undocumented youths would likely be eligible to become citizens based on its age and educational requirements. Our research showed that immigrants given permanent legal work permits under the DREAM Act would not compete with low-skilled U.S.-born workers because only those with at least a high school degree are eligible for legalization. The act also encourages college attendance by making it one of the conditions for attaining legal residency. We also found that the act would have no significant effect on the wages of U.S.-born workers regardless of education level because Dreamers make up such a small fraction of the labor force. U.S.-born college graduates and high school dropouts would experience no change in wages. Those with some college may experience small declines of at most 0.2 percent a year, while high school graduates would actually experience wage increases of a similar magnitude. For the legalized immigrants, however, the benefits would be substantial. For example, legalized immigrants with some college education would see wages increase by about 15 percent, driven by expansions in employment opportunities due to legalization and by the educational gains that the DREAM Act encourages. The DREAM Act also promotes overall economic growth by increasing the productivity of legalized workers and expanding the tax base. Lacking legal work options, Dreamers tend to be overqualified for the jobs they hold. My ongoing work with sociologist Holly Reed shows that the undocumented youth who make it to college are more motivated and academically prepared compared with their U.S.-born peers. This is at least in part because they had to overcome greater odds to attend college. We find that they are also more likely than their native-born peers to graduate college with a degree. Yet despite being highly motivated and accomplished, undocumented college graduates are employed in jobs that are not commensurate with their education level, according to sociologist Esther Cho. With legal work options, they will be able to find jobs that match their skills and qualifications, making them more productive. Legalization also improves the mental health of immigrants by removing the social stigma of being labeled a criminal and the looming threat of arrest and deportation. From an economic standpoint, healthier and happier workers also make for a more productive workforce. Overall, we estimate that the increases in productivity under the DREAM Act would raise the United States GDP by US$15.2 billion and significantly increase tax revenue. The U.S. continues to grapple with how to incorporate the general population of nearly 11 million undocumented immigrants living in the country. The inability of the Trump administration and lawmakers from both parties to find common ground is emblematic of just how deeply divided Americans are between those who want to send most of them home and others who favor a path toward citizenship for many if not most of them. While there appears to be no resolution in sight for the general population of 11 million undocumented immigrants living in the United States, common bipartisan ground can be found on the issue of Dreamers. A recent survey found that 86 percent of Americans support granting them amnesty. The DREAM Act offers an opportunity to enact a permanent resolution for a group widely supported by the public. What is more, our research shows a policy that affirms our common humanity also increases economic growth without hurting U.S.-born workers. This is a win-win for everyone, whether you care about social justice or worry about U.S. workers. This is an updated version of an article originally published on Jan. 19, 2018. This report prepared by Amy Hsin, Associate Professor of Sociology, City University of New York for The Conversation. Read the original article.